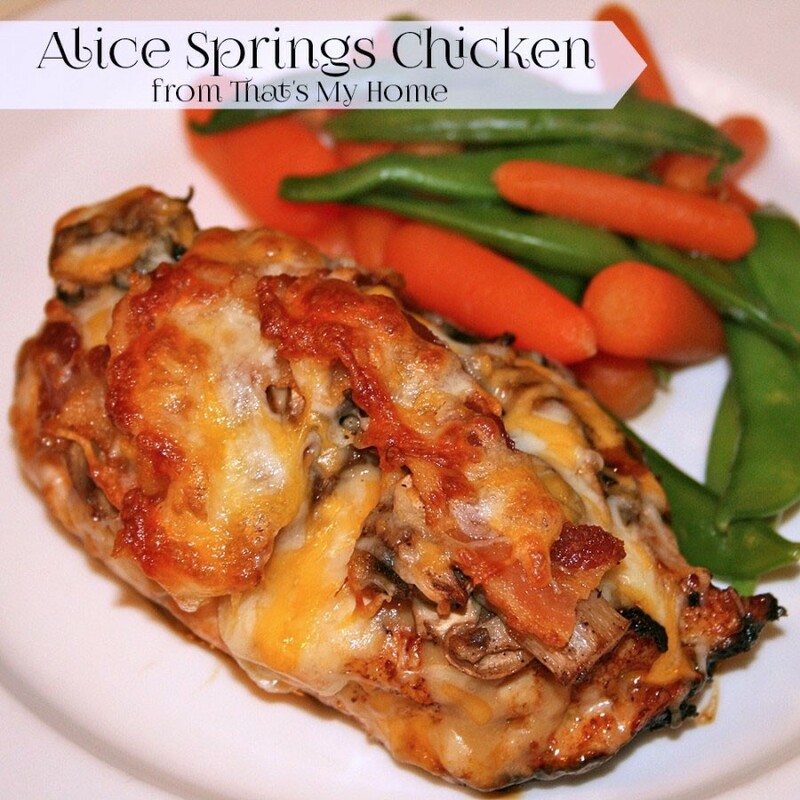 Alice Springs Chicken is a grilled chicken breast with mushrooms, bacon, cheddar cheese and honey mustard dressing. 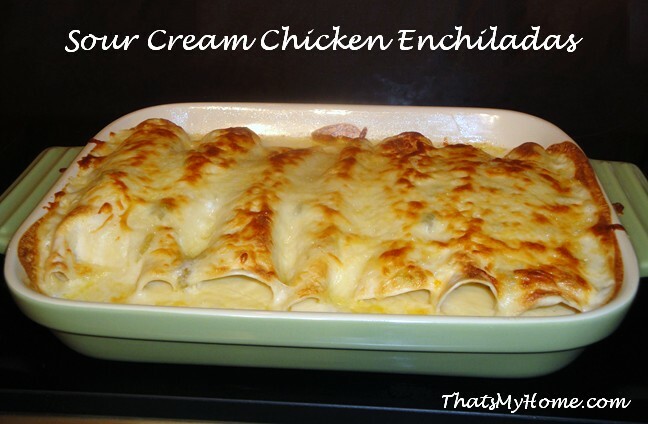 I love, love, love this chicken dish? 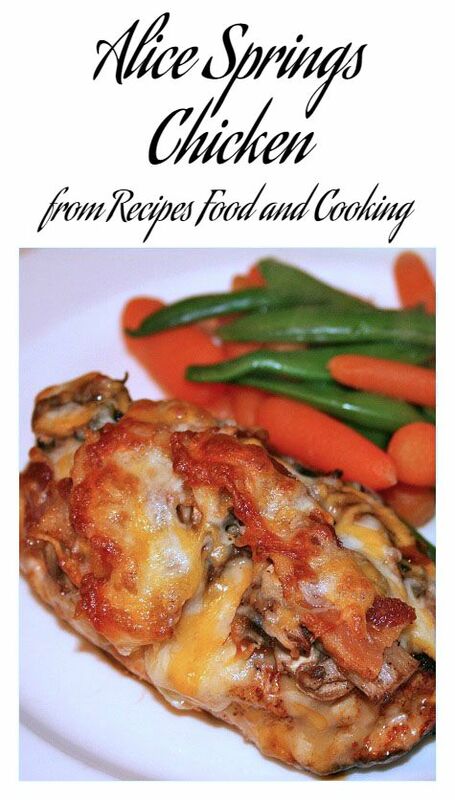 Alice Springs Chicken is an Outback Steakhouse favorite menu item and now you can make it home. 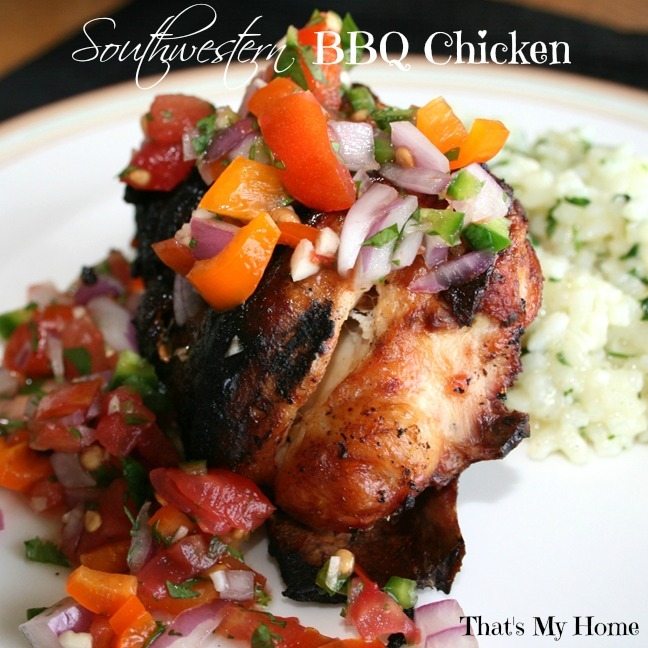 The chicken is marinated in a seasoned salt marinade and then grilled. Top it with mushrooms, bacon and cheddar cheese and smother it with a honey mustard dressing. Yum! When you buy chicken keep it for up to 2 days in the coldest spot of your refrigerator, otherwise freeze it until ready to use. Chicken should be safe to store for up to 2 months in the package you purchased it in. If you are freezing it longer than that you should wrap it in a double wrapping of freezer paper or foil to prevent freezer burn. The safest way to thaw chicken is in the refrigerator. Handle raw chicken carefully and be sure to wash everything that comes in contact with it in hot, sudsy water to prevent salmonella. Make sure that you thoroughly cook the chicken. Don’t ever eat any chicken that is not cooked completely. Marinate the chicken in the Lawry’s Original Seasoned Salt marinade for at least 30 minutes. The longer the better. While the chicken is marinating, cook the bacon reserving 2 Tablespoons of fat. Sauté mushrooms in bacon fat. Grill the chicken 12-15 minutes, until done. You can also cook the chicken on the stove if desired. 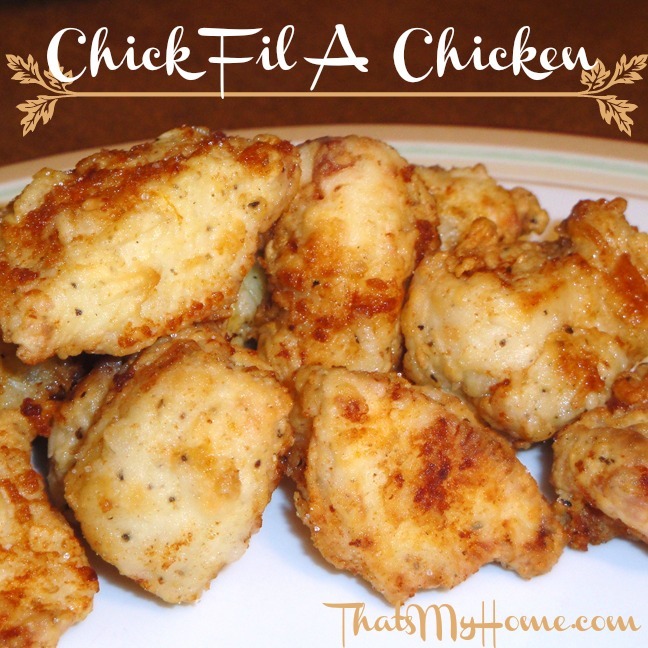 How about our Almost Chick Fil A Chicken recipe? Thank you for the lovely recipe.